In 2017, traditional sports are second place on the world stage to eSports. Esports are played on computers or consoles, as opposed to traditional courts or fields. Australia’s top professional teams take part in tournaments for some of the best multiplayer video games worldwide. These games have drawn a huge following from spectators, and even bets from gamblers. Last week, the Sydney Cricket Ground opened the first dedicated performance centre for AU professional players. Shortly before that, the Adelaide Crows had announced their intentions to open a similar centre. 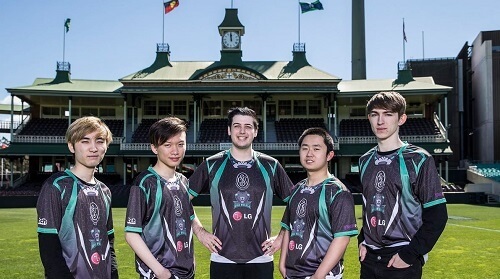 Sydney-based eSports teams like the LG Dire Wolves will now be able to monitor their performance with the help of sports scientists. Those familiar with professional sports will know how much performance monitoring can improve gameplay. For teams like the LG Dire Wolves, this monitoring could boost their performance at the next tournament. The LG Dire Wolves primarily participate in League of Legends tournaments and were the first Australian team to play at the World Championships in September. However, because they are from Australia, eSports teams struggle on a world stage for lack of opponents. The new performance centre may just help the LG Dire Wolves to get closer to a championship title by using performance technology and expert data-gathering. More so, the new centre in Sydney has partnered with the University of Technology to use their knowledge for monitoring. Professional eSports tournaments can fill stadiums almost as quickly as rugby matches. Tournaments for games like League of Legends and Counterstrike: Global Offensive has more viewers for World Championships than most rugby matches. In 2016, millions of viewers streamed live playoffs for these tournaments all over the world. The 2017 League of Legends Championship matches filled the 80 000 seat Beijing Olympic Stadium for every match. With the help of sports scientists and high performance testing, it’s possible the Aussie teams will be able to compete better internationally. If all goes well, other professional teams will also be looking to visit Sydney to use the state-of-the-art centre to train. With so many bets riding on eSports these days, we’ll be keeping Pokies.com players up to date on eSports.